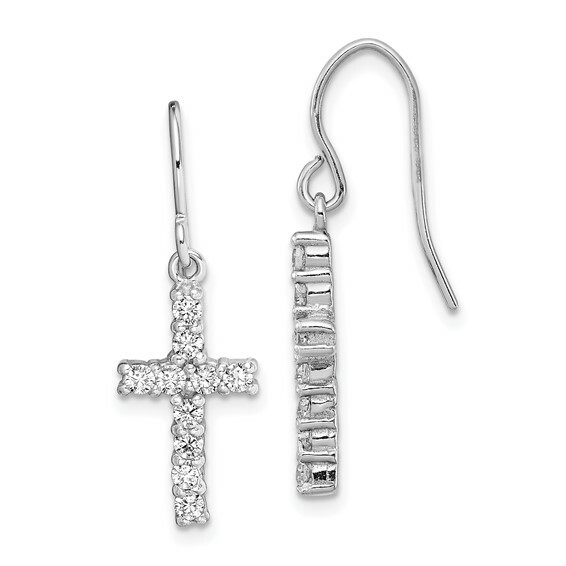 Sterling silver cubic zirconia cross earrings have shepherd hooks. Earring size: 16mm x 9mm. Weight: 2.05 grams. Import.